The Bulldogs have three freshmen in their rotation, including starting guards Kevin Pangos and Gary Bell Jr., along with four sophomores seeing various amounts of playing time. The Mountaineers, Gonzaga’s opponent Thursday in the NCAA tournament at Consol Energy Center in Pittsburgh, had nine freshmen most of the season, with eight logging minutes. That number dropped to seven with the departure of Tommie McCune earlier this week. West Virginia will have at least one freshman on the court at all times. Only four of the 12 players on the roster are upperclassmen. It’s one of the reasons the 10th-seeded Mountaineers (19-13) have absorbed numerous close losses. No. 7 Gonzaga (25-6) can relate to narrow losing margins. The Bulldogs were handled by Saint Mary’s and BYU in the first half of the WCC season, but their other setbacks were by four, one, seven and seven – the latter two to Illinois and Michigan State of the Big Ten. West Virginia’s top three scorers are senior Kevin Jones (20.1 points), senior Darryl ‘Truck’ Bryant (17.2) and junior Deniz Kilicli (10.7). It’s freshmen after that, aside from junior Dominique Rutledge, a junior college transfer who plays 7.5 minutes per game and averages 2 points. Freshmen account for 47.5 percent of the playing time and 31 percent of the scoring. 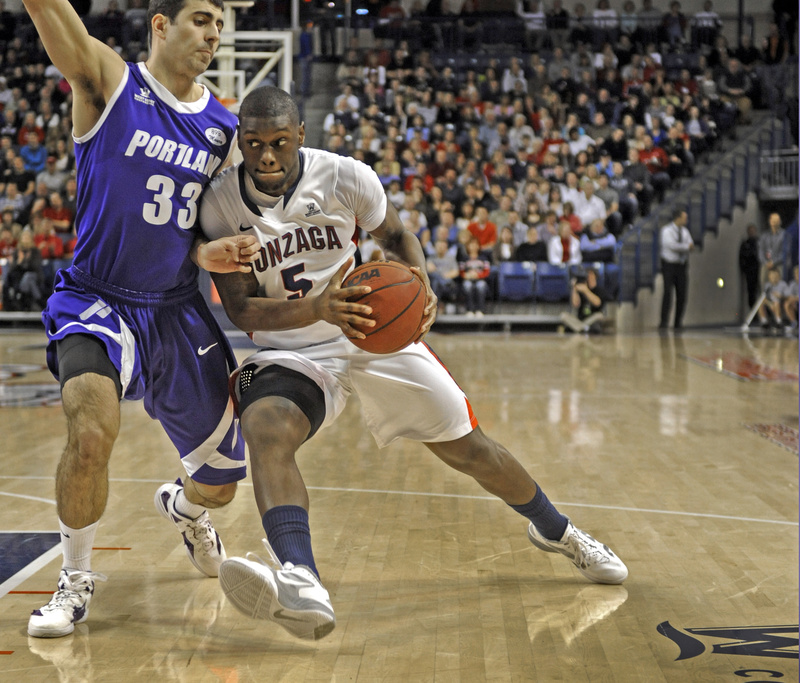 Pangos moved into the starting lineup in Gonzaga’s second game, against Washington State. He’s the team leader in minutes played, scoring and assists. The NCAA tournament is the biggest stage in college basketball. An hour after the brackets were announced Sunday, Pangos could already sense a change. GU senior center Robert Sacre has played in five NCAA tournament games, followed by Elias Harris and redshirt Kelly Olynyk with four. Mike Hart, David Stockton, Sam Dower and Marquise Carter have played in two. Huggins, too, has high expectations of his freshmen. Gonzaga saw one streak end when Saint Mary’s captured the WCC regular-season title, ending GU’s run at 11 consecutive titles. Two other streaks continued: Gonzaga played for the WCC tournament championship for the 15th straight season (and 17 of the last 18) and the Bulldogs are making their 14th consecutive trip to the NCAAs, the fourth longest active streak in the country. “I’ve said forever this is the one I’ve always been most proud of,” coach Mark Few said. “You look at who isn’t in it this year – UCLA, Arizona, Oklahoma. Texas barely got in, UConn. It’s hard to get in. Like it or not, it’s become everything in college basketball.